► Note: The information below refers to a past edition of this workshop, and it’s subject to change. This workshop is for translators and other professionals who are familiar with film subtitling and know how to create .srt subtitle files. Its purpose is to teach one technique for formatting and permanently embedding (hard-coding) subtitles on digital videos. Software used is Aegisub 3.2.2. and XviD4PSP 5.0 (both free), as well as video conversion programs – AVS Video Converter 9.5 will be demonstrated, but students can use free converters such as Any Video Converter or Format Factory. The workshop is three hours long, including demonstrations on how to use the software. The online platform used is GlobalMeet. This class will not cover subtitling fundamentals and basic concepts. If you are not familiar with the creation and edition of subtitle files, I would suggest taking the Subtitling Techniques course. When will the next workshop on Embedding Permanent Subtitles take place? How much does it cost and how can I pay for the workshop? The price of the course is US$ 75 (equivalent to CAD $95+tax for Canadian residents, or R$ 300 for Brazilian residents). Forms of payment are PayPal, credit card, Interac, of bank transfer. GlobalMeet is multi-platform and does not require software installation, although it offers a free computer application. To avoid technical issues in the first class, it’s important to schedule a quick test with the instructor at any time before the day of the first class. The student must have a microphone and (preferably) headphones. No camera is needed. Aegisub 3.2.2. runs on Windows and Mac. XviD4PSP 5.0 and AVS Video Converter 9.5 run on Windows. For Mac users, a Windows emulator is required to install this software. All necessary software must be installed and tested in advance of the workshop. How is the workshop structure and class dynamics? The groups are small, with 6 students at most. Classes are given by Carol Alfaro and are live, not pre-recorded. Through GlobalMeet, the students can see the instructor’s PowerPoint slides and computer screen while they hear her voice. They can communicate by voice or text. Students can work with their own materials (video and subtitle files) or receive materials for training purposes. After the workshop, the instructor remains available by e-mail for questions or any additional help. The workshop is not intended to teach students how to translate or create subtitles, and the students can work in any language. For this reason, those with prior experience in subtitle translation will benefit the most from this course. 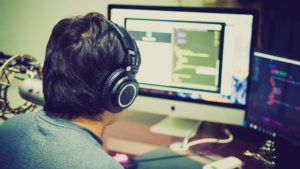 It’s important to have previous knowledge and experience in subtitling, as well as advanced computer skills (software installation and configuration, learning new tools, ability to research and solve technical issues).